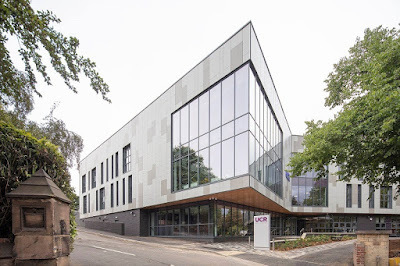 The new £10.5m University Centre Rotherham (UCR) has opened its doors to students and adult learners for the first time today. 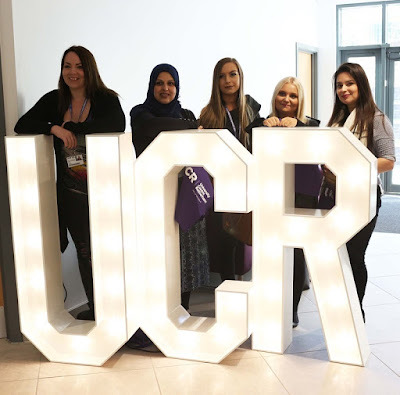 UCR is a brand new campus dedicated to offering degrees and professional training qualifications, providing a state-of-the-art teaching facility in the heart of Rotherham town centre. RNN Group expects to run 50 different university-level courses by 2020, adding to the 32 higher-level courses currently on offer, and has been working closely with employers to develop courses covering digital, creative, health, technical construction, engineering, and leadership and management, to meet the needs of the local economy. The target is to attract 1,000 additional students over the first five years. Tuition fees will be under the £9,000 charged by many universities, making degrees more accessible for people in the town. Details of some of the courses available can be found here. John Connolly, chief executive of the RNN Group, said: "We are delighted to welcome students to the brand new UCR campus this autumn. "Studying at UCR means students can achieve their career aspirations without the need to live away from home or travel long distances and offers opportunities for those already in employment who want to study a degree or higher-level qualification around their work and family commitments. We're aiming to inspire students at UCR to become the business leaders and entrepreneurs of the future." The centre, where plans for a second phase are already in hand, was built by Willmott Dixon. Rotherham Council provided the land in a cut price deal. The Sheffield City Region (SCR) Combined Authority agreed to fund infrastructure works. A grant of £3.5m was approved with the balance coming from RNN Group. Lloyds Banking Group, has both supported and partly funded the project. Cllr. Chris Read, leader of Rotherham Council, said: "Having a university centre here in Rotherham will develop both education and business for future generations here in Rotherham. "It makes sense to attract new students and local businesses in order to offer the best educational and business experiences. This centre will play a pivotal role in closing the skills gap in the town and support the local economy by increasing access to higher-level skills."